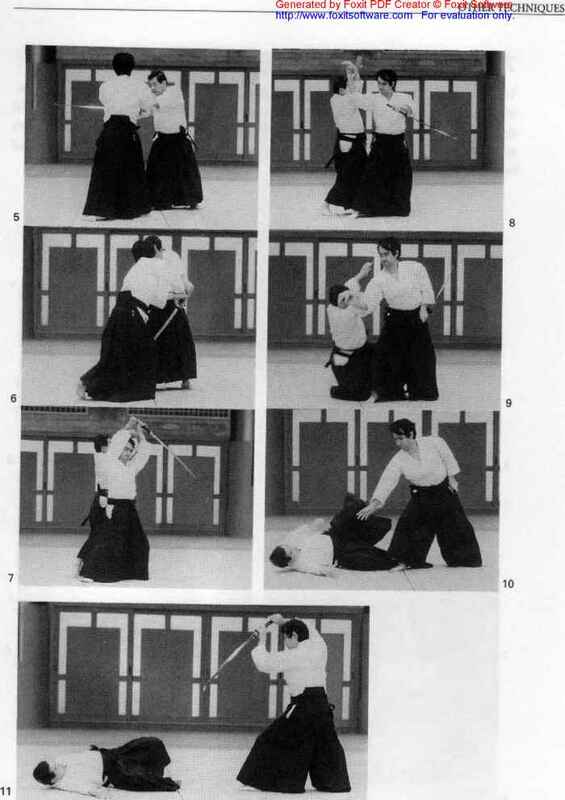 Uke delivers a kesa-giri (diagonal strike across the body) cut with a sword. 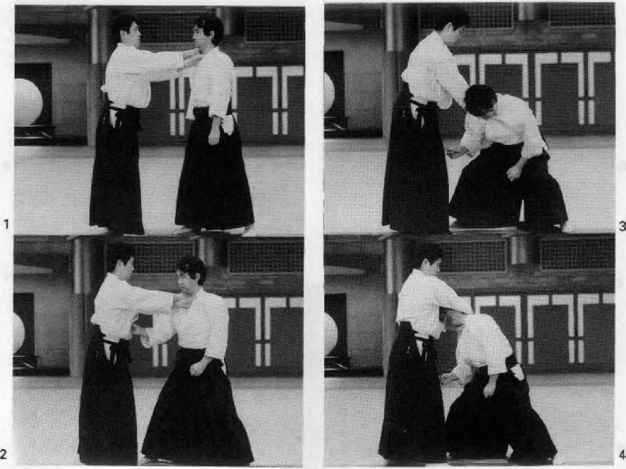 Tori steps in with his right leg and delivers atemi to uke's ncck with his right hand while taking hold of the sword's grip with his left. 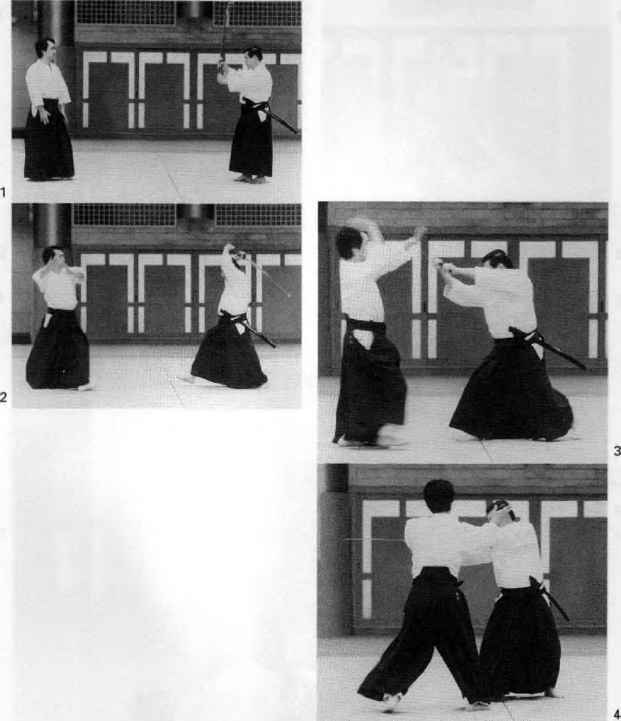 Tori then steps in with his left leg and applies shiho-nage, being careful to keep the sword centered directly in front of him. 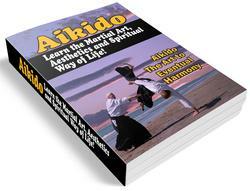 While executing the throw, tori disarms uke and then holds him at bay.